Somehow I lost a week in the flurry of a new school year. I promised to give away another book I have recent purchased then found it was already on my shelf. 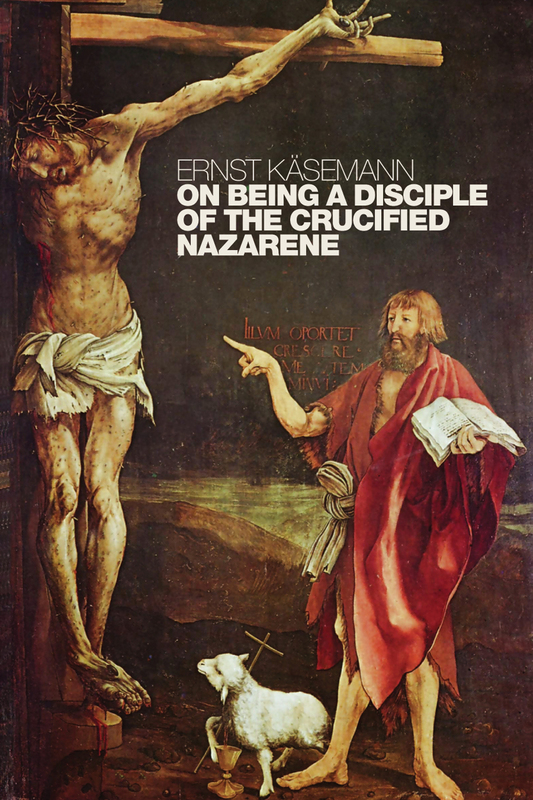 This week I have a brand new copy of Ernst Käsemann, On Being a Disciple of the Crucified Nazarene: Unpublished Lectures and Sermons (Translated by Roy A. Harrisville; Eerdmans, 2010). I bought the book this weekend at the Eerdmans Warehouse Sale (one of the major benefits of living in Grand Rapids). I had a suspicion I already had the book, but bought it anyway. Once again, my leaky memory is to your benefit. I will announce the winner picked at random on September 20, 2017 (one week from now). Good Luck! ← Was Paul “Predisposed to Conversion”? Fernando Gouvêa — sounds like an interesting book. It’s nice to see how theological ideas work out in less formal lectures and sermons!